In addition to cherry tree blossoms, buttercups and tulips, April in Memphis brings lots of fun food events! I have 15 listed today in my article in The Commercial Appeal. Here are five to give you a taste of what’s coming up this month. 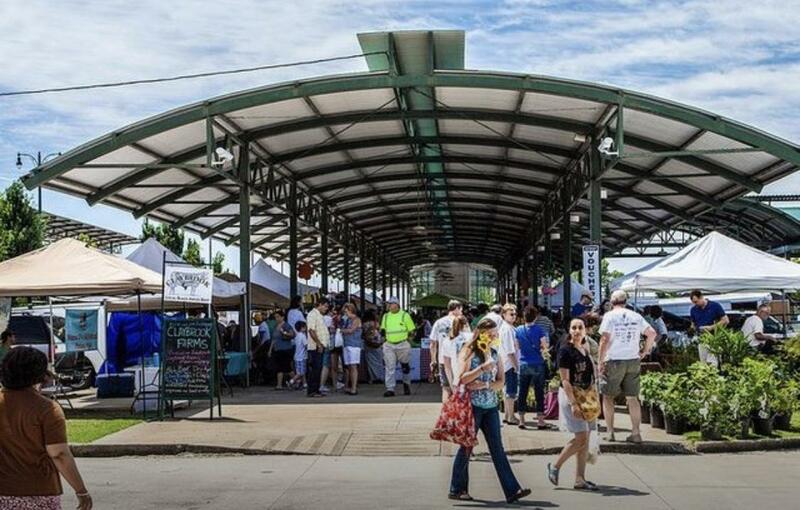 Memphis Farmers Market is now open for the season. Every Saturday from 8 am to 1 pm at the corner of G.E. Patterson and S. Front St., the largest farmers market in town features over 50 vendors, selling everything from Tennessee produce to local honey to meats to prepared foods and baked goods. The 3rd annual Kaleidoscope Food Festival is this Saturday at Wiseacre Brewing Co. from 1 to 5pm. This festival celebrates the diversity in Binghampton and allows attendees to experience cultures from around the world through food, performance and storytelling. Southern Hot Wing Festival is also on Saturday. In its 17th year, it is a celebration of the chicken hot wing, the drummie, the flat, flap, and everything in between. Over 70 teams will compete in this family-friendly event that includes live music. Spirits & Soul Fest is a 2-day festival on April 26 and 27 that brings the Tennessee Whiskey Trail to downtown Memphis! Distillers from around the state will join Old Dominick Distillery, artists, tastemakers and local businesses of South Main Historic Arts District for a weekend of good music, good food, and the finest Tennessee Spirits. In its 27th year, Rajun Cajun Crawfish Festival is the largest one-day crawfish festival outside of Louisiana. This year its on April 28 downtown at Wagner Place. Over 35,000 people will come down to the banks of the Mighty Mississippi to get their share of 17,000 lbs of fresh, spicy Louisiana crawfish. All proceeds benefit Porter-Leath. This is Jennifer Chandler with The Weekly Dish. Have fun y’all!